Kewan McCully can’t help but smile. It’s hard not to these days. 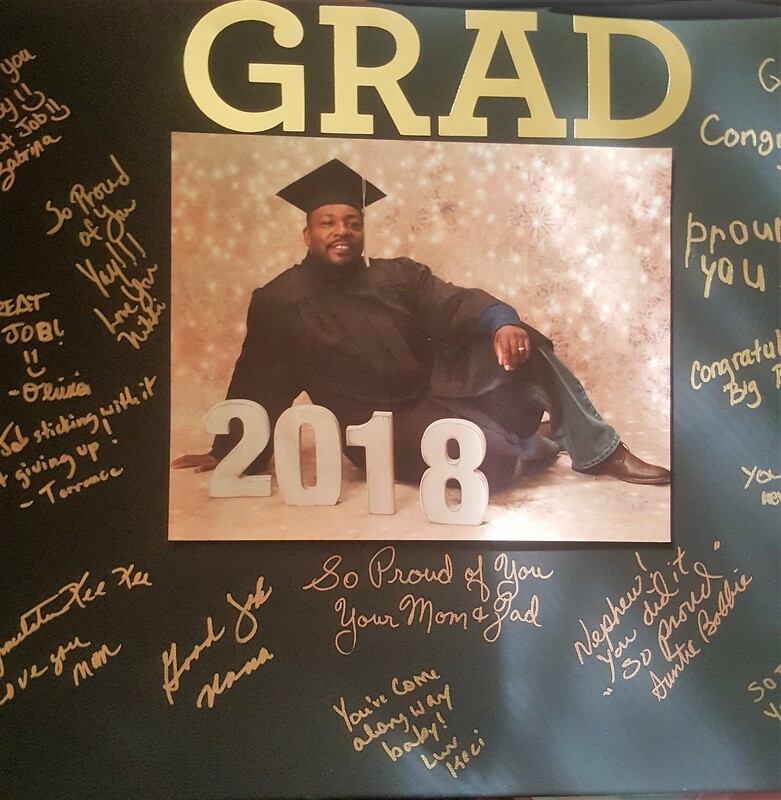 The USW Local 1014 member and furnace assistant in the QBOP has a lot to be happy about: his family, his job, and most recently, his college degree. McCully, who participates through the USW/U.S. 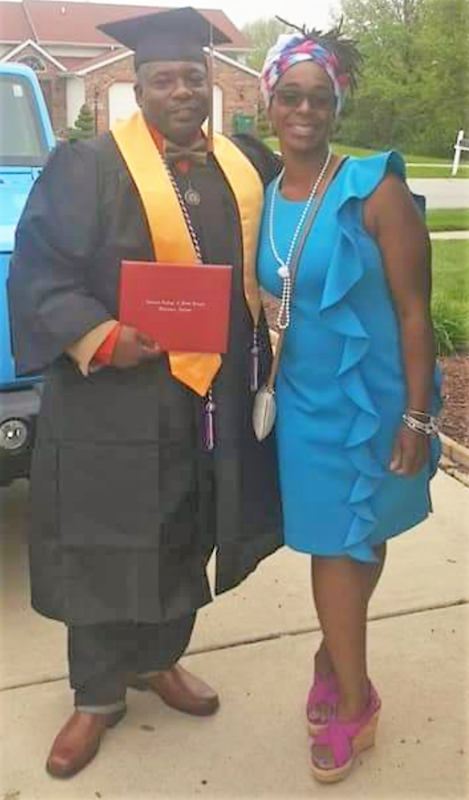 Steel-Gary works program, will admit it was far from easy – managing shift work, switching shifts with co-workers, and even using vacation days to earn his Bachelor’s of Science degree from Calumet College of St. Joseph in Whiting, Indiana. McCully wasn’t your traditional student, either. The 1990 Gary Lew Wallace grad and Army veteran attended Vincennes University from 1994-96, but quickly life changed. He got married to his wife, Zabrina, and started a family. They have two children, Kewan Jr., 21, and Sydney, 15. Kewan and Zabrina just celebrated 18 years of marriage in June. It was only recently he decided to go back as a non-traditional student – but not without some poking and prodding from Zabrina, among others. “My wife is working on her Ph. D, so she was really pushing me to do it,” Kewan said. “I’ll admit it, it was tough, especially if you’re on midnights and instead of going home and going to bed after your shift you’re at the library or finishing a paper. McCully still remembers when Charva Jones, the District 7 Sub District 5 Director and ICD LJC co-chair, encouraged him to go to the USW/U.S. Steel-Gary Works Career Development office and inquire about funding for college credits. McCully will celebrate 11 years at U.S. Steel in September. 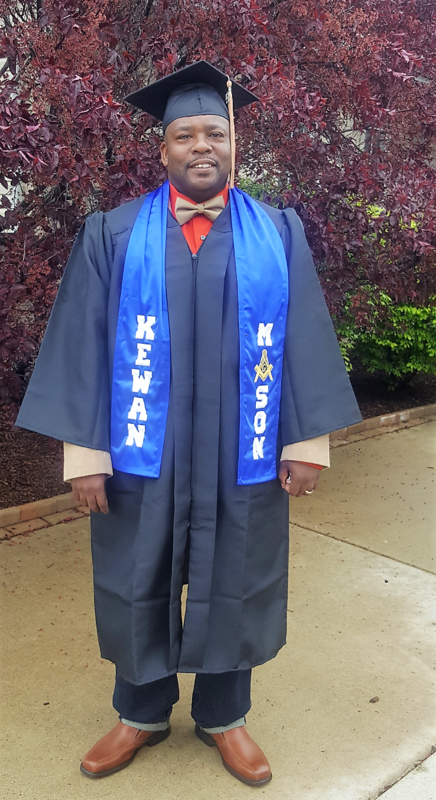 So proud of all your hard work, Kewan!